One thing that has always intrigued me is, The Horseman. Why was this a motif of the Scythes? 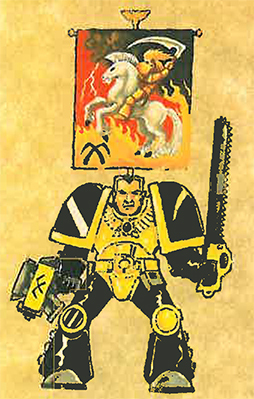 Odd that in a world of Wolf riding Space Marines, an Astartes on a horse strikes as out of place. 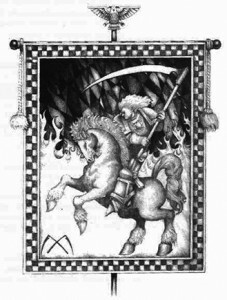 EDIT – Nov.2015: In the Black Library Short Ficiton, Heloth, the Scythes Second Co. use the horse Conabos (Of Greek Myth, Ares Chariot fame) is this possibly an indication of GW using Ares’ horses as Company motifs? The Tenth (Scouts) – Aithon (Red Fire) ? I know that the Scythians were famed horsemen of the Steppes in Eurasia – they were respected in commerce and war. Interestingly the Scythians had a slight Greco-Roman influence to their art through cultural relations with those empires. An aesthetic I felt was brought across in early artwork. Not quite Ultramarine Romanesque, yet not the indulgant vanity of Greecian Blood Angels. 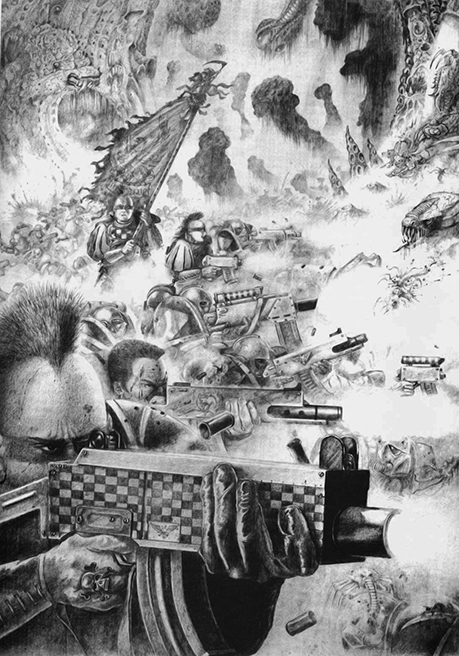 I’m not sure where Stephen Tappin, an oft forgotten but highly influential Warhammer artist, gained his ideas and concepts – likley the art direction is the rationale, as the artwork which adorns my background was commissioned externally and has all these themes also; independant of Stephen. 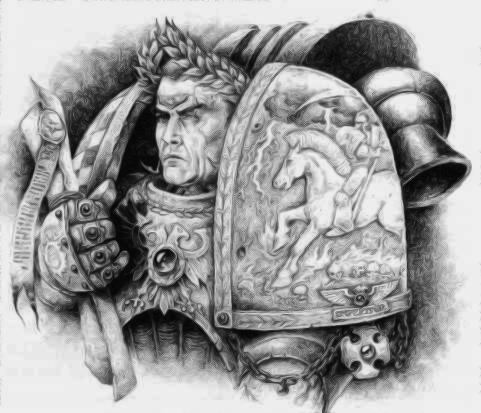 So the question remains, why the Scythe weilding Astartes on Horse back? The motif is everywhere amidst early Scythe artwork. We can see it on Pauldrons, Banner poles, Banners and even boltguns..
Second boltgun from bottom has the Horse’s head inscribed on the casing, just behind the scouts left hand. Banner top has the Rider motif. 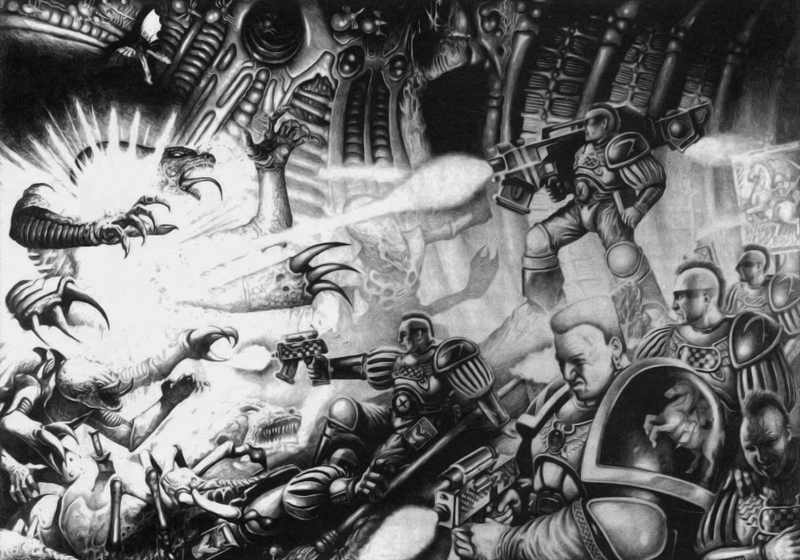 This idea sits well with me, I would love to know what Games Workshop art director was thinking at the time. What are your own thoughts on the Sothan Horseman motif? Brilliant article. Hadn’t grasped the significance of the horseman to the scythes and really enjoyed the read. Thanks.